We want you to love our products as much as we do. All items we ship have successfully passed our rigorous Quality Control inspections. Our warranties ensure you have a fantastic gadget experience while giving you total peace of mind. Most items sold by Warby.Parker are covered by the following comprehensive product warranties. If, in an unlikely situation you are not covered, please check our Warranty Exemptions and Notes below. If your item arrives damaged or is not working, please follow the warranty process and contact our Support Center for RMA authorization within 7 days of the order being received. After returning the product to us, we can send you a new item free of charge (we will reimburse you the return shipping cost), or you can choose to receive a full refund. Enjoy total peace of mind: every single purchase is 100% risk-free each time you shop at Warby.Parker. 1. Customers must first send a clear photo or video of the damaged or defective product and the shipping packaging before we can consider issuing RMA authorization. Please use good lighting, and a close to medium distance, so we can identify and verify the issue(s). Attachment size must be under 2MB for the Support Center, please send larger attachments to: support@Warby.Parker.com. 2. After Warby.Parker has received the returned product and confirmed the product is faulty, the return shipping cost will be refunded based on a valid return receipt. For example if the return shipping fee is 30 USD, Warby.Parker will refund the same amount of 30 USD to the customer. If our technical team determines the item is not DOA , Warby.Parker will not compensate the return shipping fee. Refund requests for a return shipping fee without a valid RMA return receipt slip will not be accepted. 3. Product returns must be via one of Warby.Parker&apos;s approved shipping methods; our Support Center can provide you with further details. Extended Guarantee Notice: For orders placed between the 1st Nov and 30 Dec 2017, customers will have 45 days to return any unwanted items. Note that the returns shipping fee is non-refundable and products must be returned unopened and unused for a refund. Unless otherwise noted on the product page, the default product warranty period is one year starting from the date you receive the goods, during which you are eligible for free repair. Any free repair needs to be confirmed with the manufacturer via Customer Service. Customers must pay the shipping fees for returning the item to Warby.Parker , while we will cover the shipping fees to send the repaired item back to the customer. If the buyer has damaged/misused the item(s), it will not be eligible for free repair, however customers can return it to us at their own cost and pay a fee for the repair. Return shipping fees will be the customers responsibility in such cases. 1. Natural product degradation through wear and tear, along with breakage/damage during use, is solely the customer&apos;s responsibility and is not covered by our warranties. 2. If the customer has damaged/misused the item(s), the product&apos;s warranty is immediately rendered void. No compensation is available in such cases. However, customers are welcome to contact us to purchase a replacement or spare parts (if applicable). We will charge the original value of the components and a shipping fee to dispatch them. 3. All returns must first be authorized by Warby.Parker&apos;s Support Team prior to return. Please kindly refer to the following steps in " How to a request warranty" below. For incomplete warranty requests, Warby.Parker reserves the right to refuse any compensation. If the customer has returned the package without prior authorization (RMA form), sends to the wrong address, returns an incorrect item, or submits an empty package, then again Warby.Parker reserves the right to refuse any compensation. 4. All returns will be inspected by our technical team upon arrival. 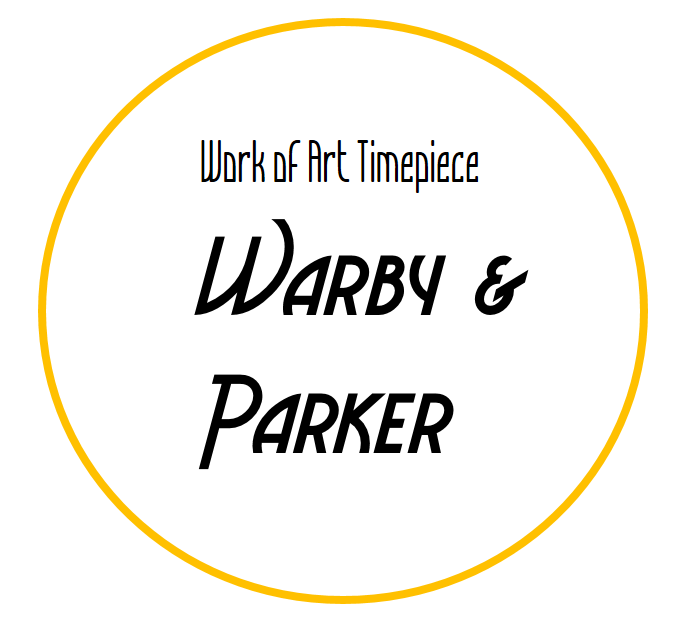 If the returned item cannot be repaired, Warby.Parker will offer an alternative solution. 3. Warby.Parker will by default resend the item to the customer via Flat Rate Shipping. If the customer wants to utilize a faster shipping method, the relevant shipping fee is applicable. - If we have shipped the wrong item: we will either refund you in full or dispatch an alternative item (if applicable and available). Warby.Parker will decide whether you need to return the wrong product or not and compensate the return shipping fee when we receive it. If you chose the wrong size, Warby.Parker will offer an exchange or refund for customers, but please note that shipping costs to return the items are at the customer&apos;s expense. 1. Shipping fees to return the items are at the customer&apos;s own expense. 2. All Warby.Parker products are strictly quality controlled prior to dispatch. Due to their nature and intended usage, product categories including RC toys, scooters and wheels are subject to wear and tear through repeated use. As such, our 45 Day Money Back Guarantee relating to RC toys, scooters and wheels, only covers 7 Day DOA instances where the product does not work out of the box. It is the customer&apos;s responsibility to inspect the product carefully upon arrival. 4. Any products that are won or redeemed as part of an activity or competition (e.g. via a lucky draw) on Warby.Parker or any of our promotional channels are exempt from our Warranty and Returns policy. -Wallet refunds will take up to 24 hours to process and appear in your Warby.Parker account. Warby.Parker’s dedicated Customer Service agents will keep you updated on the repairs process via the ticket system. Now we are please to inform our customers that we have new warehouses for returns and repairs of certain products. * The below table shows the brands we stock. Reliable, helpful and flexible, Warby.Parker offers basic technical support over the lifetime of your products. Buy with confidence and enjoy the support you deserve.